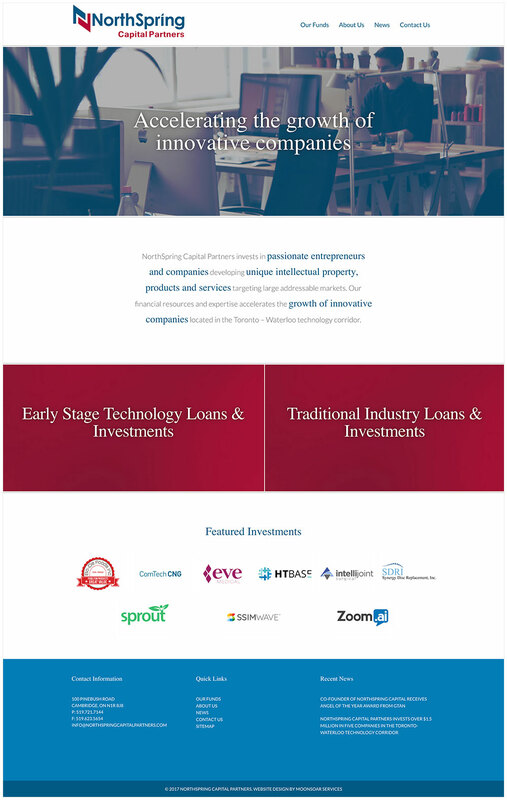 NorthSpring Capital Partners is a local company that invests in tech startups, manufacturers and other business in the Toronto – Waterloo tech corridor. The client was in desperate need of a website redesign; they had started their company in 2009 and were still using their original website. The company had since pivoted their target market; their content was no longer relevant. Additionally, their website wasn’t mobile responsive. 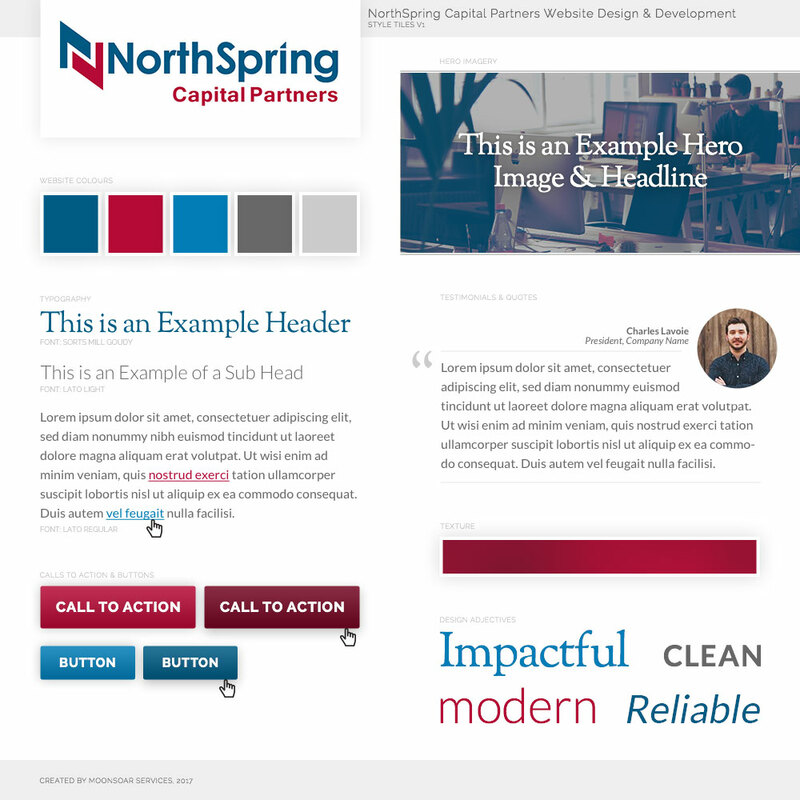 The client was going to be featured in some magazine articles, and needed a website that would speak to potential leads that were driven to it. This website was developed in WordPress, custom built on the Foundation framework, is fully responsive and meets the WCAG 2.0 Level AA standards. We started working with the client through the definition of website objectives, reviews of current content, and researching the new target market. Style tiles were created that would help define the appearance of the website over a variety of devices (including mobile, desktop and large screen). Once the style tiles received client approval, we were able to move forward with the full design and development of the website to provide the client with a website they were happy to show to their clients, leads and business contacts.